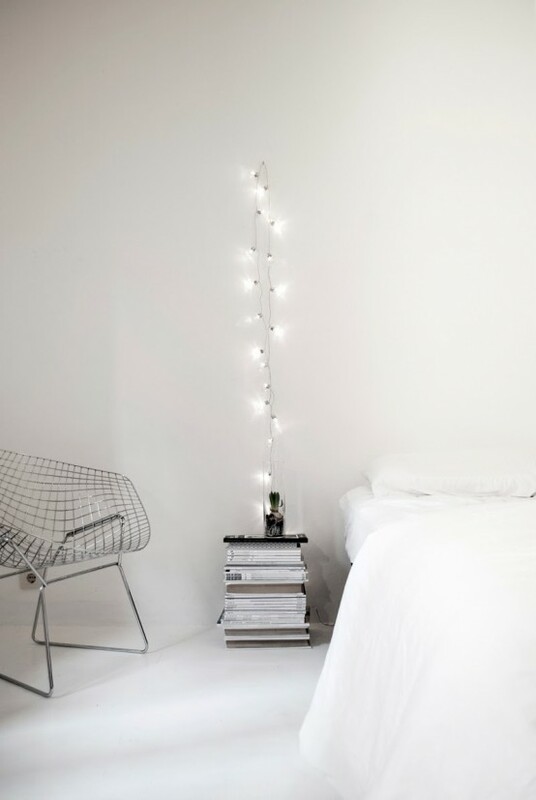 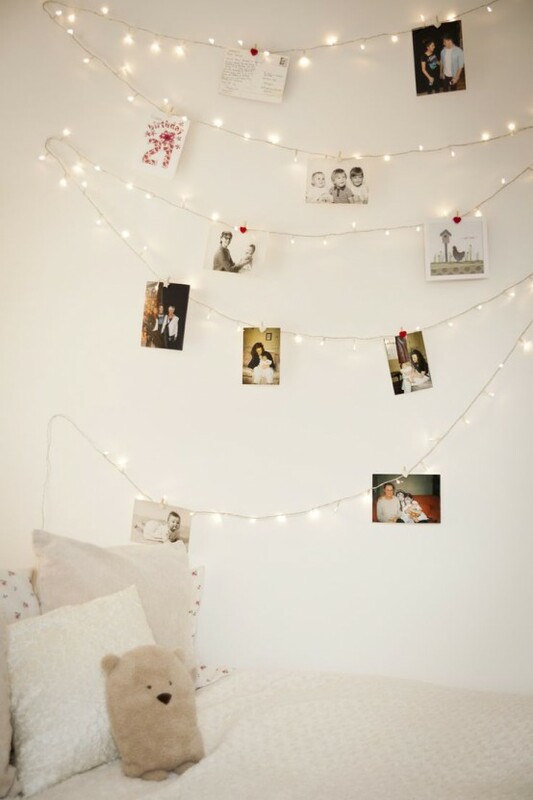 String lights look whimsical no matter where you hang them. 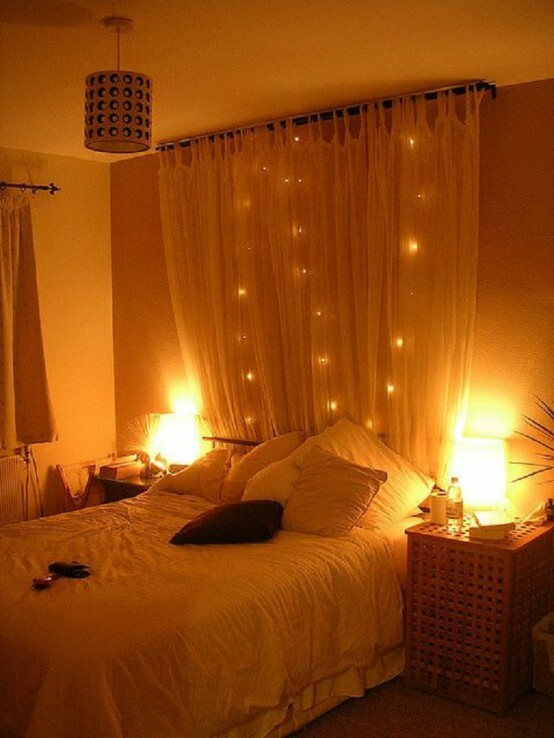 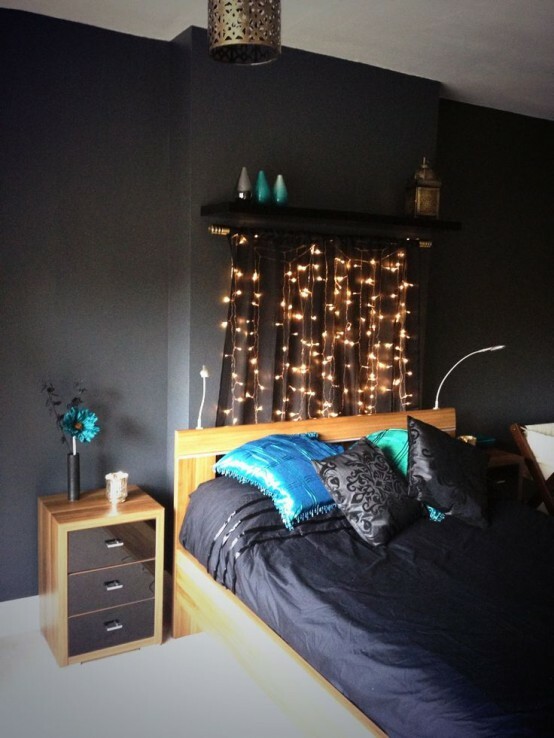 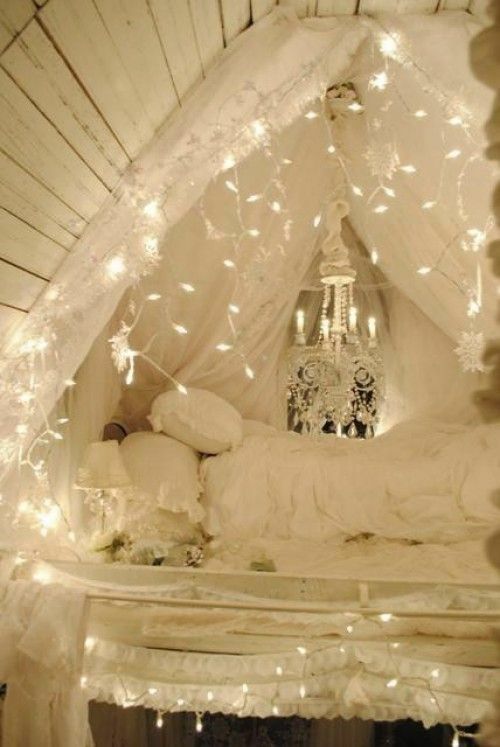 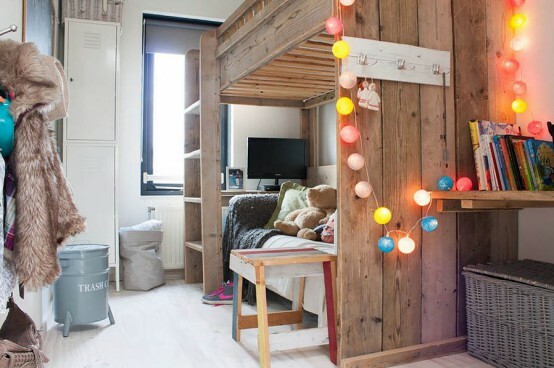 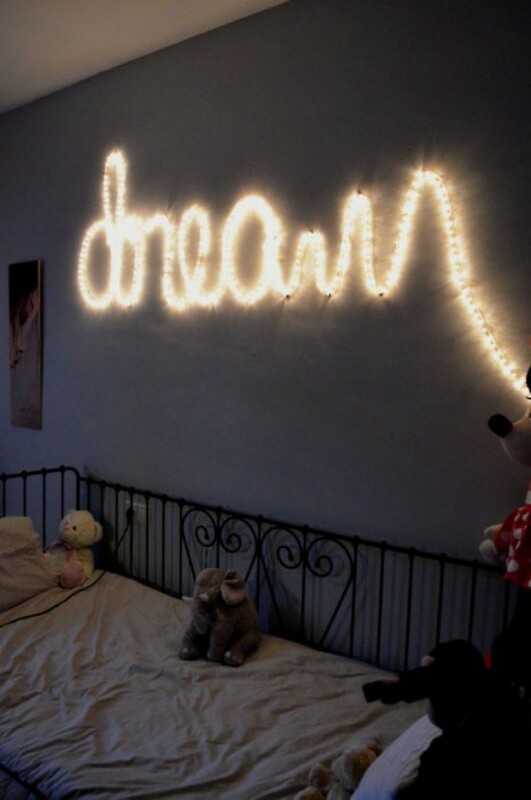 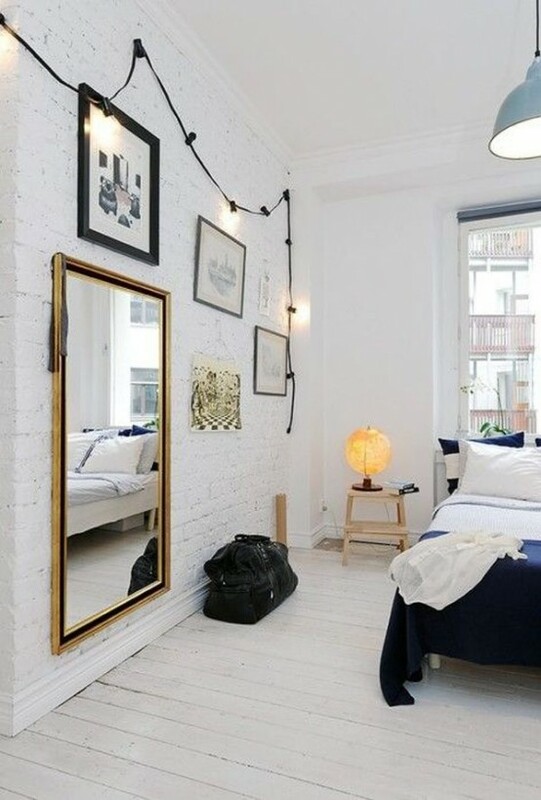 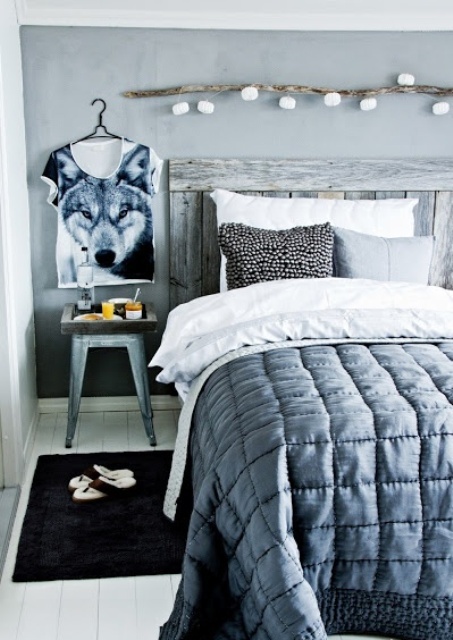 I think, it’s one of the best ideas to make your bedroom look dreamy. 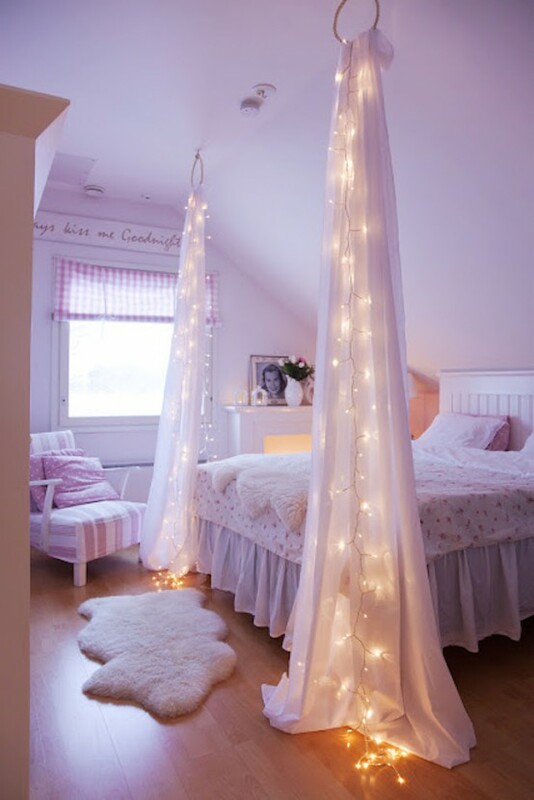 And given how flexible string lights are and the variety of styles they come in, you can create some really awesome and creative designs. 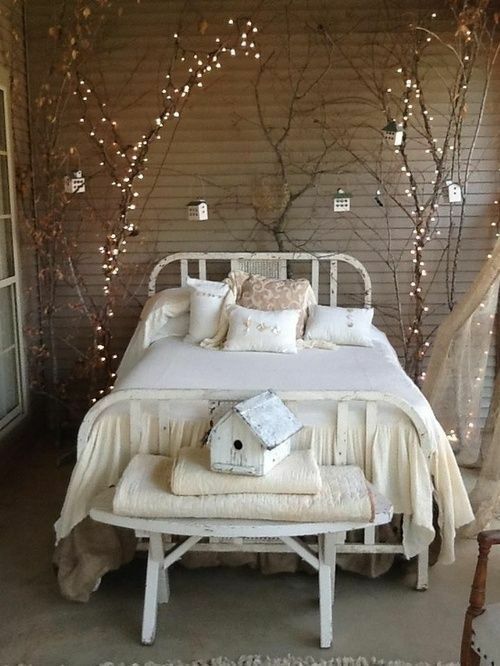 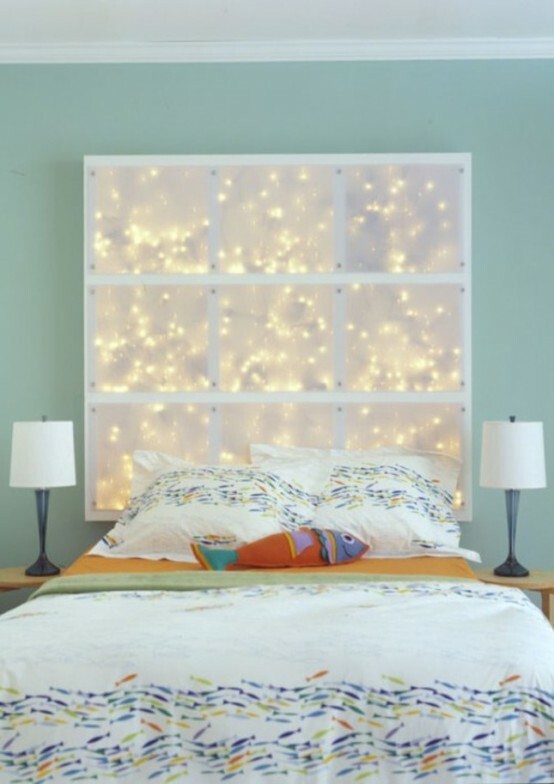 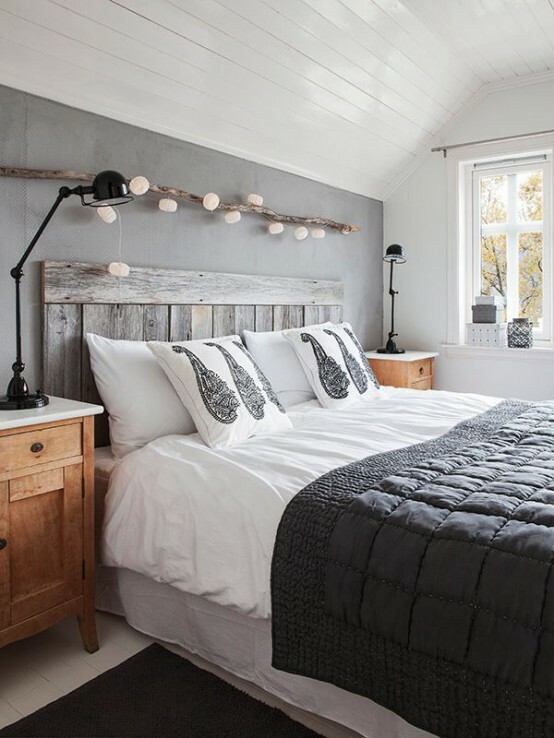 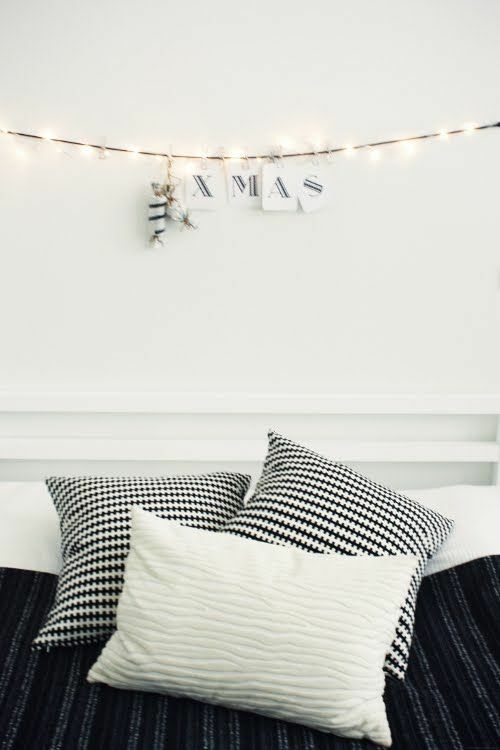 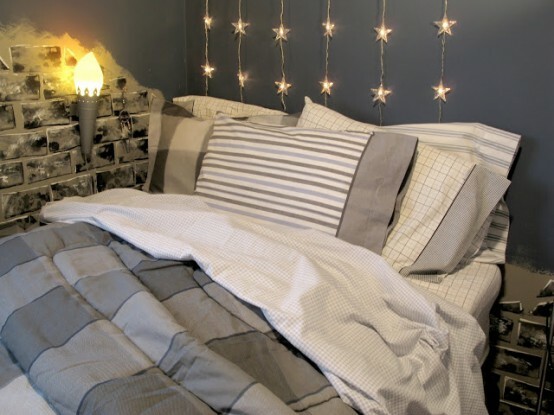 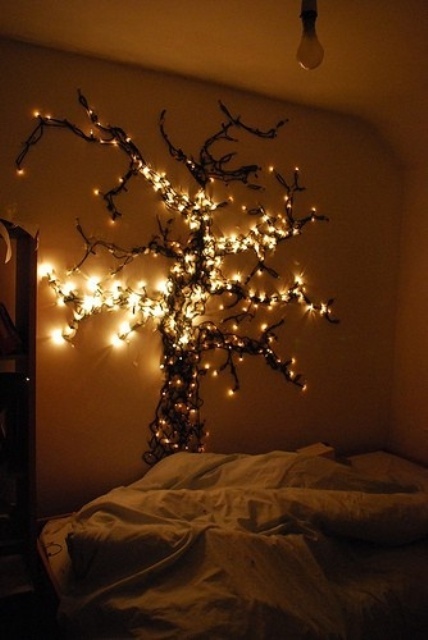 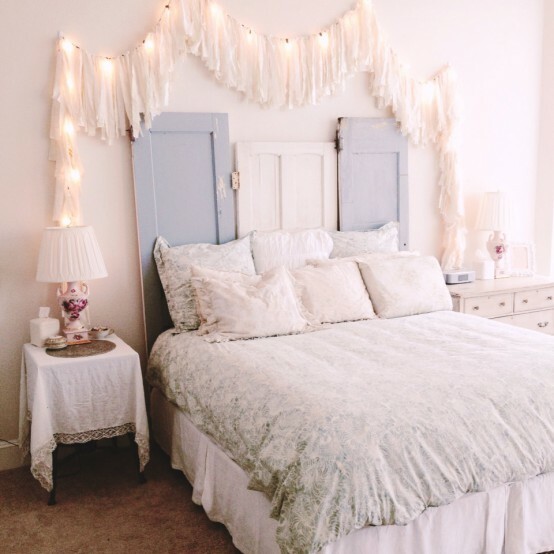 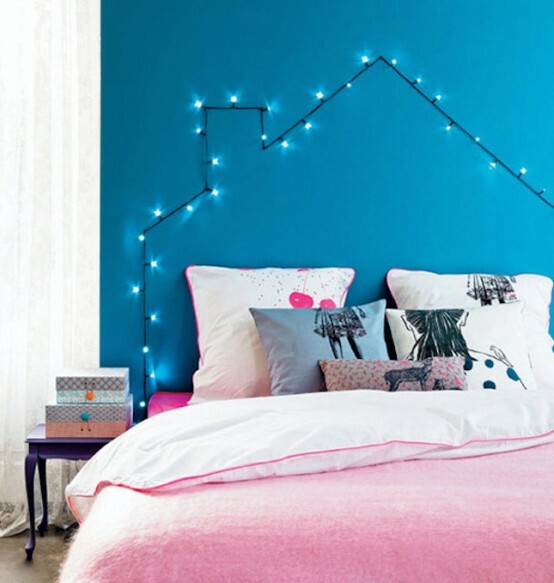 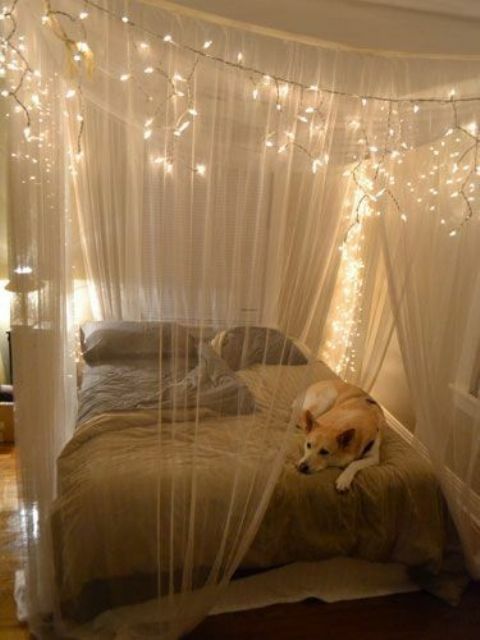 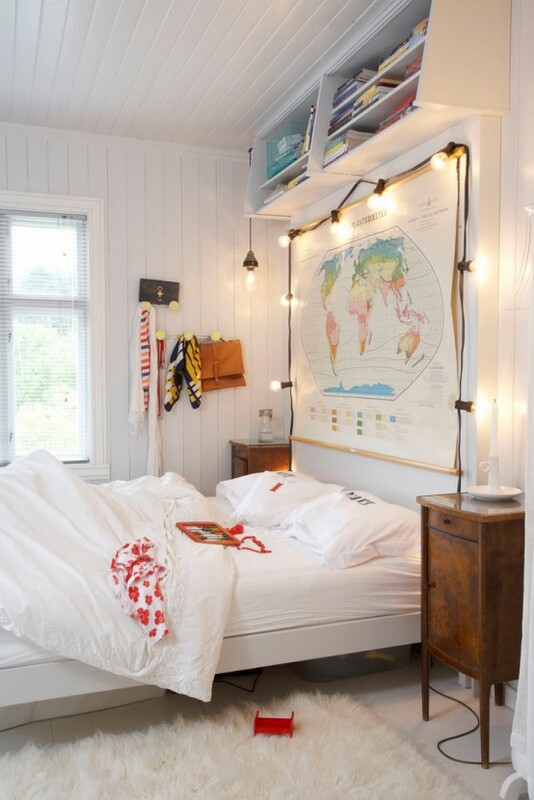 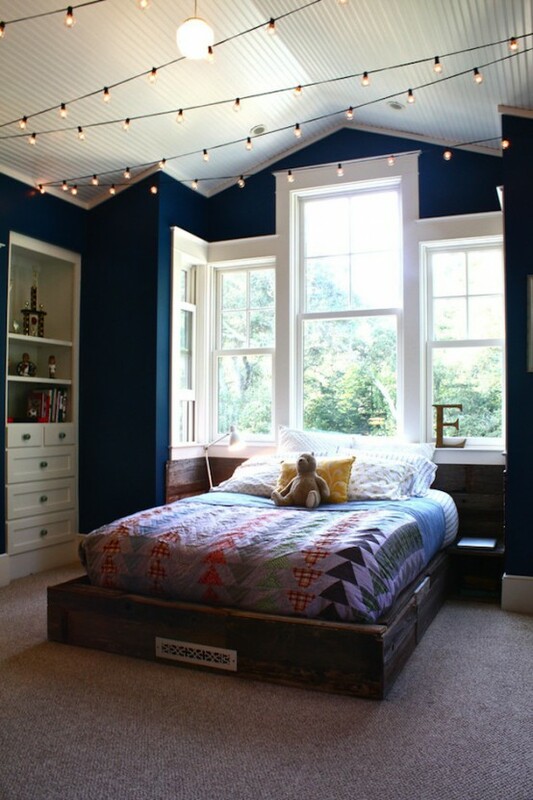 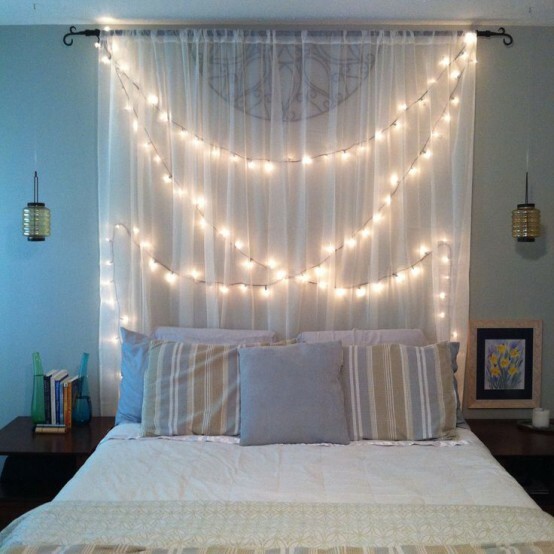 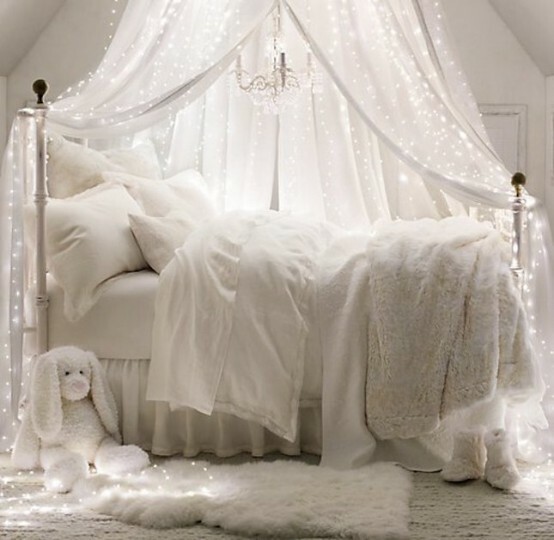 Use string lights to create a fake headboard for your bed, hang them to make twinkling draperies, wrap string lights around a branch or a piece of driftwood and make an accent piece you can display above your bed. 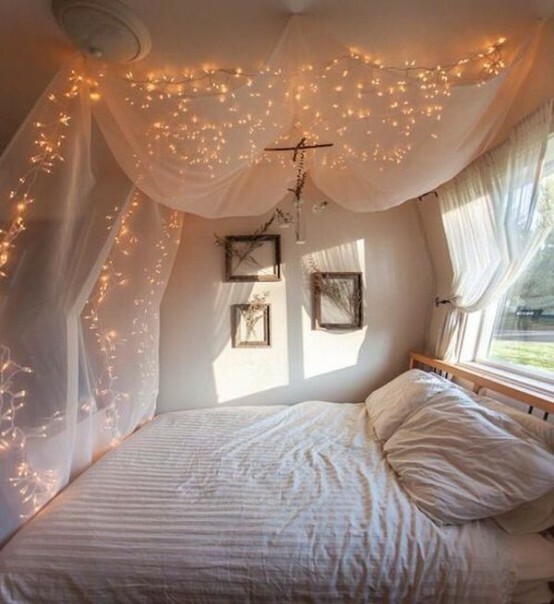 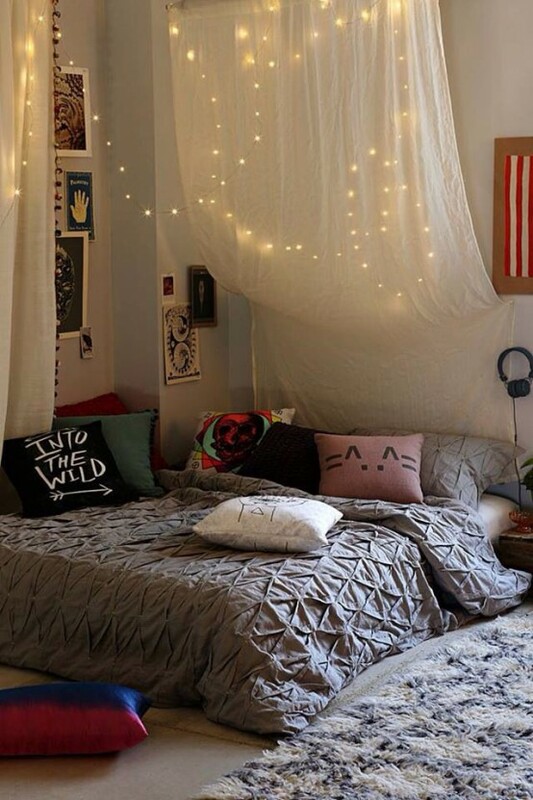 If you have a canopy, you can use string lights there or maybe personalize the walls of your bedroom – this way they won’t be straight in your face. 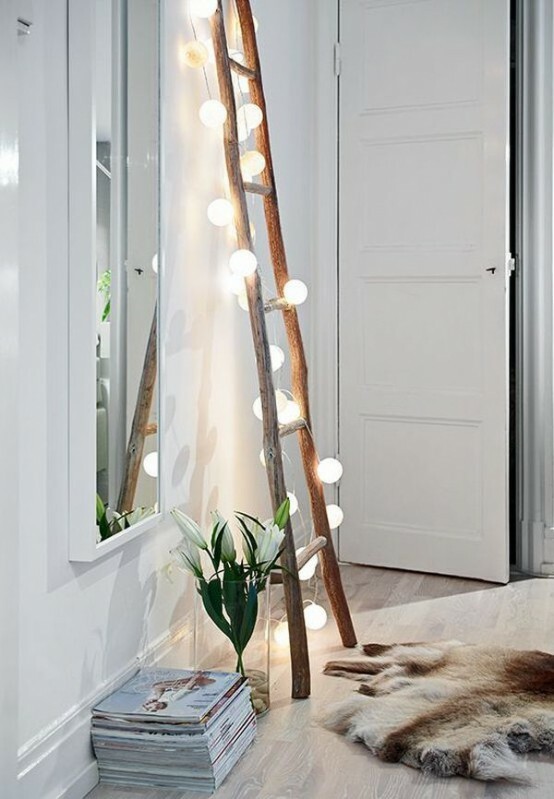 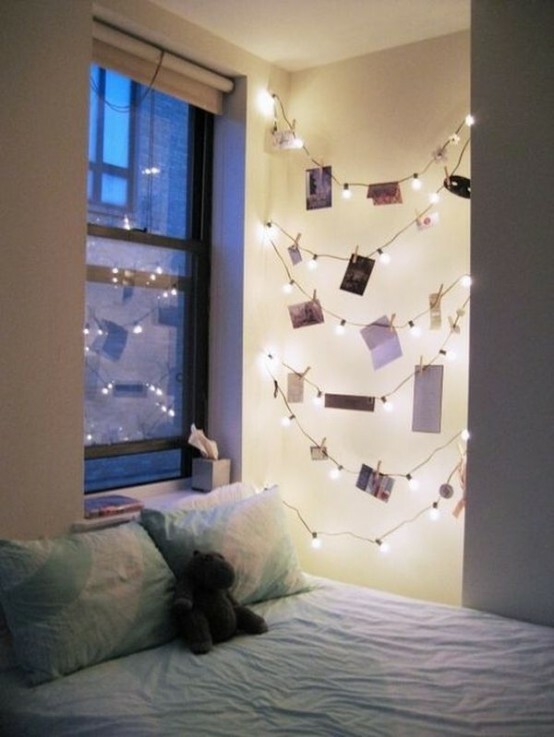 And, finally, string lights are number one in bringing festive mood, so take them for your holiday decor. 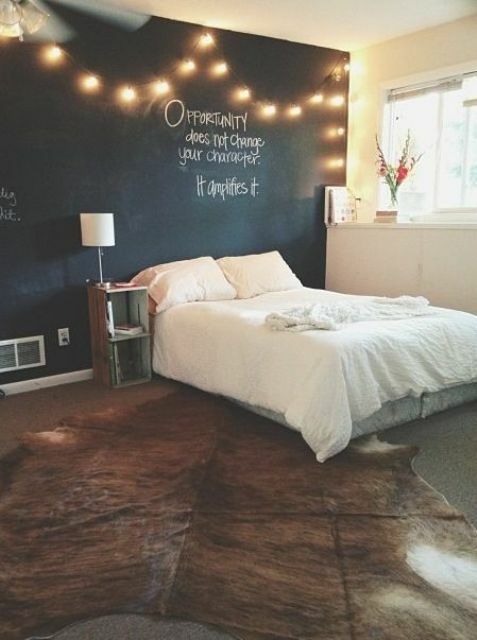 Get inspired by the beautiful ideas below!